Hello gals its becoming harder and harder to wake up each day. Holiday fever is in the air~ Imagine my surprise when I ride the train today and there is no queue! Due to daily traffic and pollution I still get breakouts every now and then and I remember getting this before my Japan trip when I looked for a reliable concealer, let me review Pink Sugar Our Lil' Secret Concealer. Directions: Apply under the eye or on other uneven spots on the face, blend well. 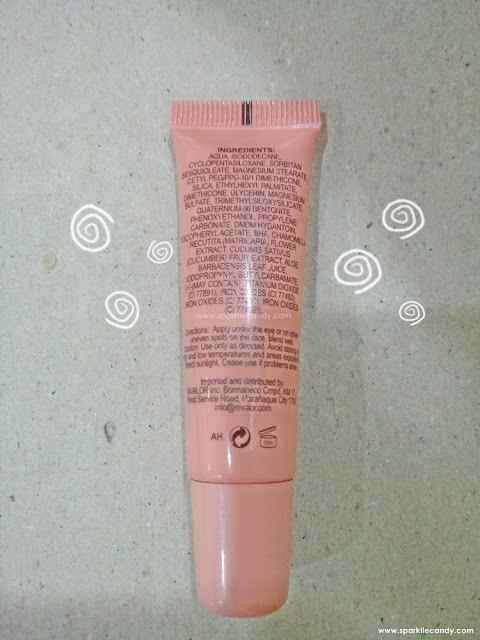 Pink Sugar offers their concealer in a handy dandy plastic tube, its easy to bring too due to its size. I have tried tub, doe foot applicator concealers as well and I must say handy tubes like this is what I prefer. 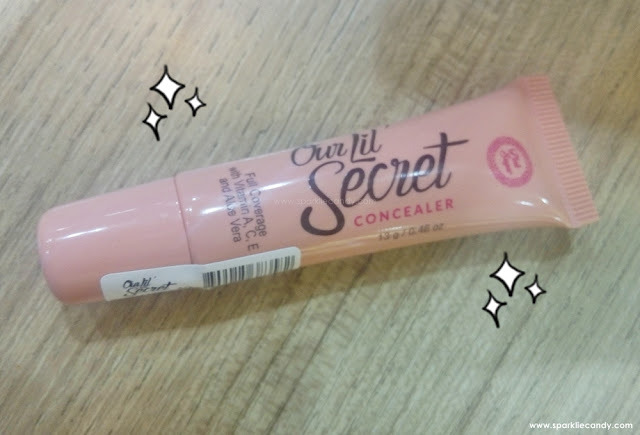 Our Lil' Secret Concealer is my first product from Pink Sugar. I am looking for a heavy duty concealer and the search led me to Pink Sugar. As I check the 4 shades available I found out that the lightest one can pass up as a highlighter. The color is super light! That is why I chose the Light Medium which is the shade that leans to natural. 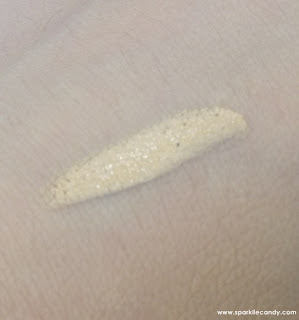 The shade has yellow undertone (not grayish! yes!) which makes it close to my skin tone. Our Lil' Secret Concealer has no particular scent, but it does smell like a regular concealer. The small opening of the tube dispenses just the right amount of thick cream. I tried it on my dark spots and it covers up well, however I noticed that it clings on dry spots of my face. It also accentuates pores, good thing that I use primer before my makeup. 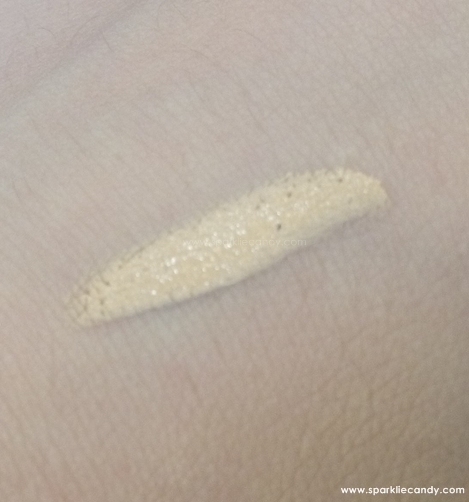 This concealer also dries fast so I also need to blend fast, this is a con bur the pro is when the cream dries, the finish is matte and budge proof. 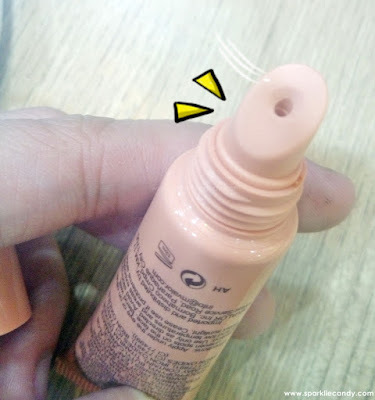 I only use my finger on application with dab motion but for precised spot correction you may apply it with a beauty blender sponge or brush for precise spot correction. About the longevity, its really long lasting because I only need to apply once but it dries quite fast. The cream dries like its cement and it doesn't budge. I apply it on top of my liquid foundation and under my finishing powder. Another con is that it appears visible on flash camera shots. It highlights instead of covering up my skin secrets! Lol. No to flash cameras when I wear this. I have a pimple huhu. And so I applied by dabbing motion and there you go. P349 available at Pink Sugar kiosks in malls nationwide. I got mine at Landmark Trinoma. Our Lil' Secret Concealer is my very first product from Pink Sugar and its good. The coverage, price and longevity is a thumbs up! The old concealers I've tried are not as good as Pink Sugar concealer, this is my favorite concealer so far. Have you tried Pink Sugar products yet? Let me know your favorite product from them in the comments! 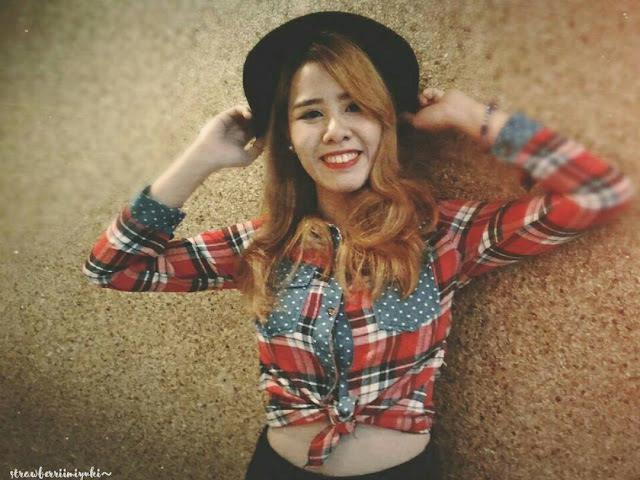 My Wild Wild West Costume in our Company's last Christmas Party, meep!